I received the following products in exchange for review. All thoughts are my own. I got on the holo band wagon a little late and I am in love! 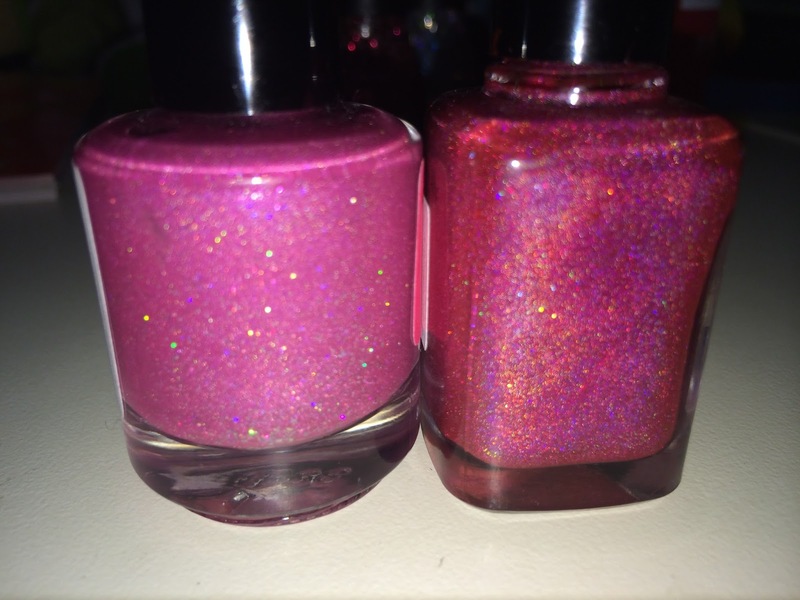 I love these 2 pink holos and they make a great addition to my collection. 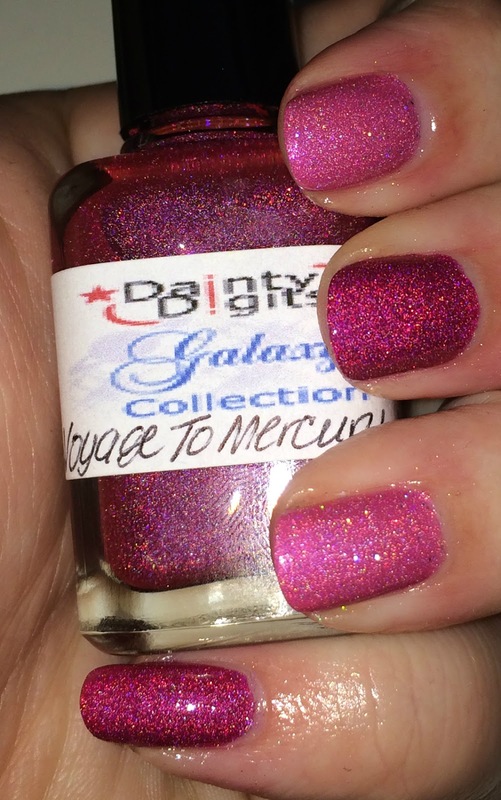 The one on the left is Your Royal Pinkness and the right is Voyage to Mercury. 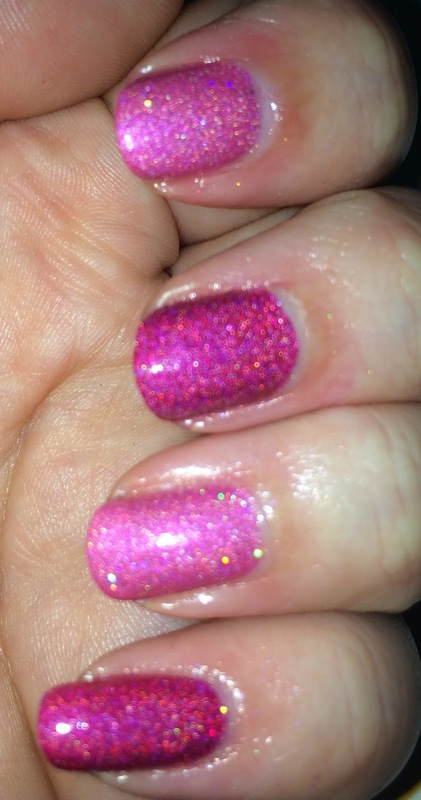 I fell in love with Your Royal Pinkness when I saw Polish me Manly's swatch on Instagram. So when I got the chance to review it I was so excited! 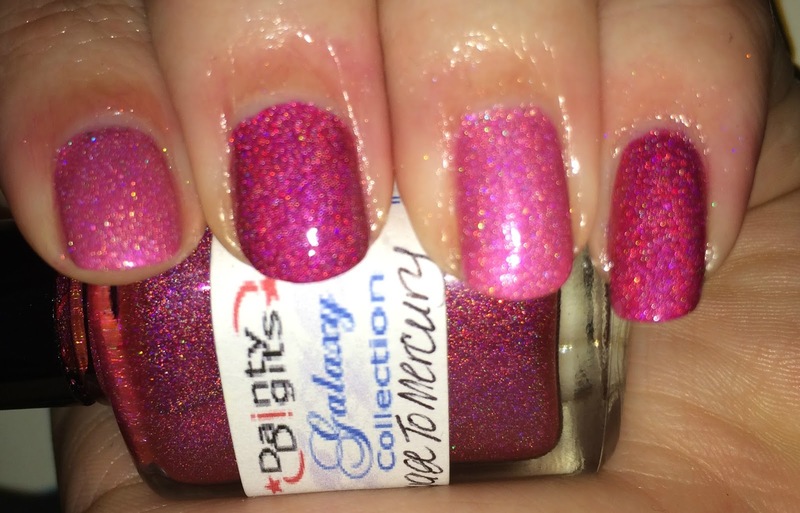 I have a few reviews that I'll be posting from Dainty Digits Polish and I'm rounding them into colors so Off we go with the glorious pinks. I am going to start with Voyage to Mercury. Forgive my pre cleanup swatch but I couldn't wait to show how beautiful this color is. I used 2 coats for this photo. 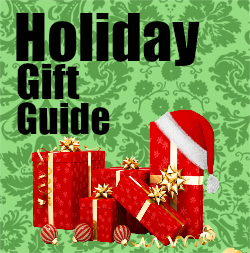 The application is smooth and dries quickly. 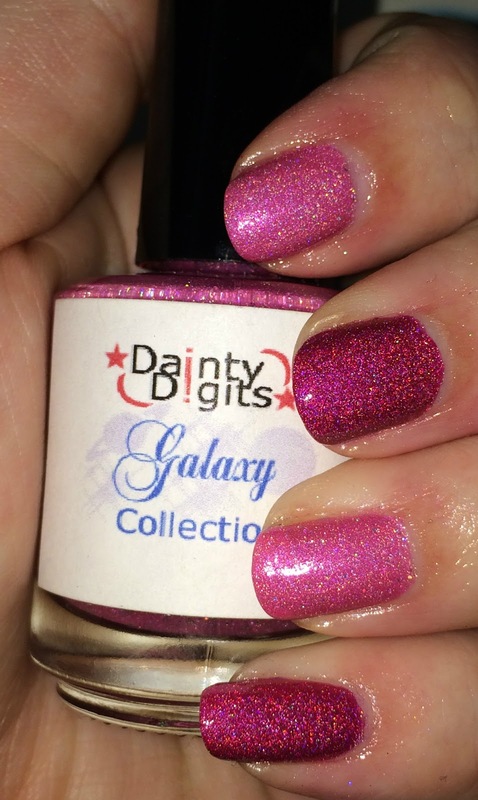 Here is some information from Dainty Digits site on this color:A beautiful Candy Apple red holo! It just may blind you in the sunlight! While I see the red in this polish I think more of strawberries when I look at this (man I would love some strawberries right now......) There is no strong smell to this polish and it is such an amazing color. Your Royal PinknessA soft yet still hot pink holographic with all types of glitter inside. 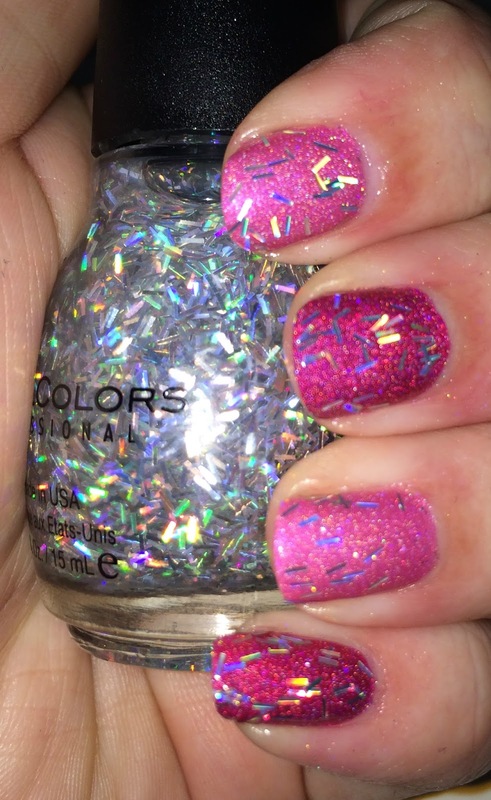 I wish I could get a good bottle shot of this holo!! My camera didn't want to cooperate with me. I love love love glitter (if you can't tell from my glitter bomb collection.) 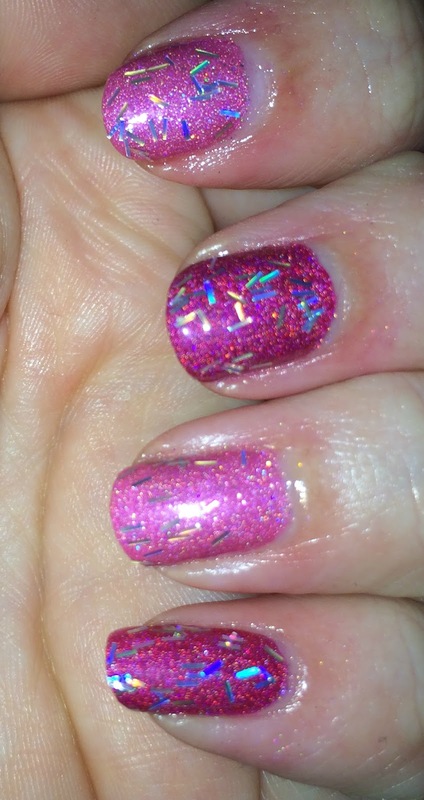 and a holo and glitter polish is like the ultimate drool worthy polish for me. 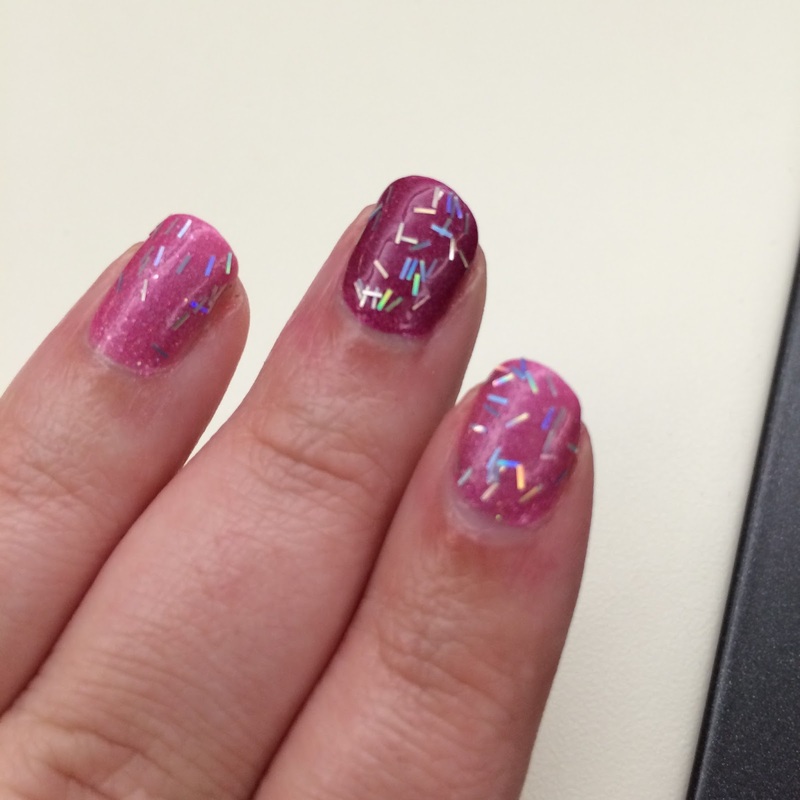 So many glittery specks and holo goodness! 2 coats of this color as well and no top coat. I love the application and formula of all my Dainty Digits polishes! 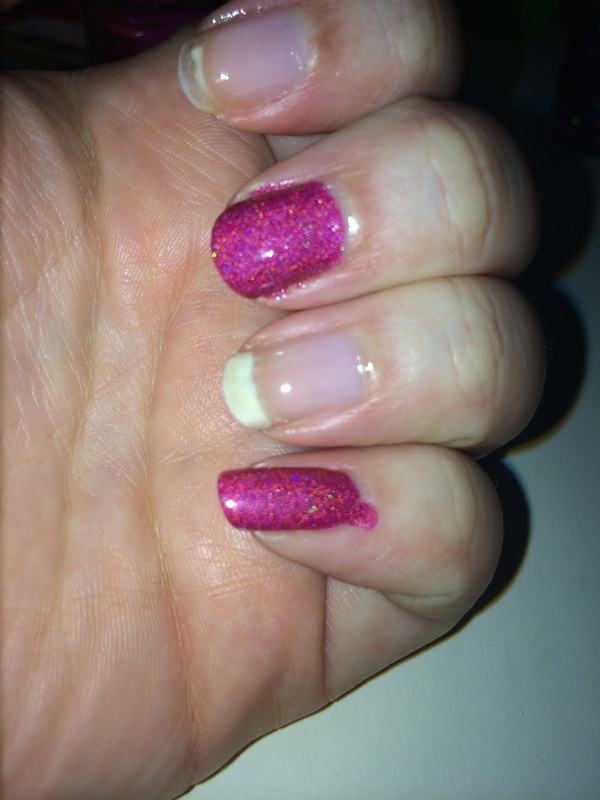 They apply like a dream and dry so fast even the clumsiest could mess this up. Here is some more shots! 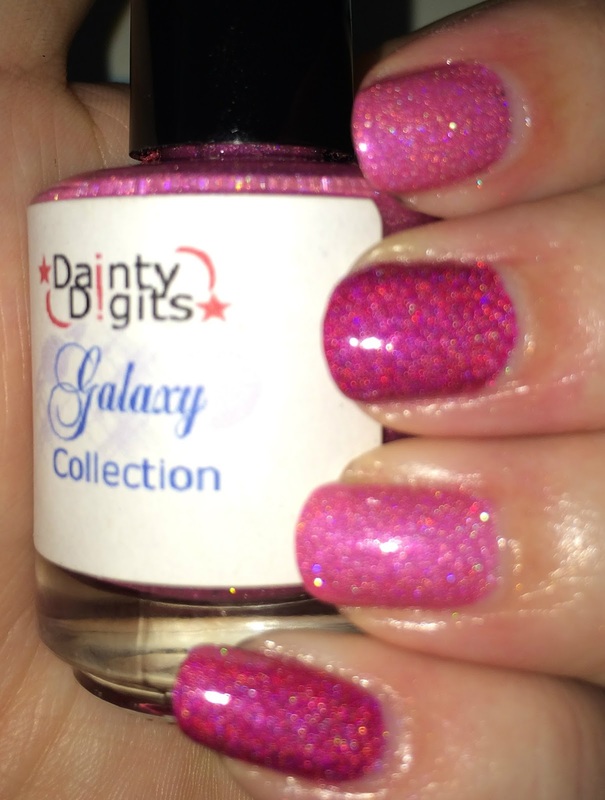 Now that I have you Drooling Go check out Dainty Digits Polish and buy your own holo yummy! Loving the colors! Very Pretty. The alternating colors look neat.